• In the first anthology, I thought the overarching theme was hope. How does Summer Days and Summer Nights compare? That’s a wonderful interpretation, and it’s apt for these stories, too. I wanted the two anthologies to feel connected, and the easiest way to do that—when you have so many different authors and genres—is through theme. So we have love, and we have hope. Several characters in both anthologies are actually going through some pretty dark times, which surprises some of our readers, but I think hope often shines the brightest out of darkness. It’s important to show both sides of it. • On your blog you say that there’s a little bit of you in each of your characters. Does this typically help or hinder the editing/revision process? This is such an interesting question! I don’t have a satisfying answer—it’s probably both, with a slight edge to helping. Putting more of myself into the characters usually (though not always) leads to more honesty in my writing, which is the ultimate goal: to tell the truest version of each story that I can. • This is the second anthology you've edited. What was the inspiration? What did you give your contributing authors in the way of guidance or prompting as they began their stories? The inspiration for the second anthology was . . . the first anthology. Working with my friends was such a joy, and I relished the opportunity to work with eleven new authors. All of them had so much to teach me both as an author and an editor. I’m always looking for opportunities to become better at my craft. Pulling apart these stories, inspecting their seams, digging in deeper—it’s a brilliant way to learn new tricks. And I’m a good editor, so I think/hope that my work was helpful for them, too. I gave the authors only three guidelines: Their story had to take place during the summer, romantic love had to be involved, and—no matter how dark the situation got—it had to end on a note of hope. • What was it like working at this project compared to the first one, My True Love Gave To Me? 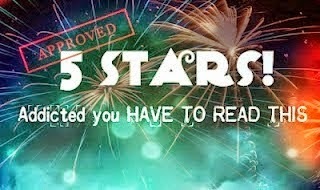 Is it easier to do the editing and collaborations with other authors now that you have experience from the first one? This one was significantly harder. The first anthology felt like a fluke—something with my friends, just for fun! A lot more planning went into this one. I’d already been a critique partner to several of the authors in the holiday anthology, so they were used to working with me. I’d already earned their trust. With the summer anthology, I reached out to a lot of authors whose work I admired, but I didn’t personally know them as well. Relationships had to be established. That takes time. But the work was great fun, and I loved getting to know them, and it was a tremendous honor for these incredibly talented authors to have trusted me with their work. I’m so, so grateful. • Why did you decide to bring these particular authors together for this anthology? I reached out to authors who are writing stories that I love. All of them have strong voices and—whether or not they primarily write romance—a kind and romantic heart. The crazy and fantastic thing is that there are literally dozens of other YA authors who also fit this description. There are so many talented, inspiring writers in this industry! I had to make some tough decisions, and a lot of it just came down to keeping a balance between the genres. • And if you could pick one from the anthology authors, who do you want to spend your summer with? What are the things you would probably do? Oh, no! What a terrible question, ha! But I’ll answer it. I WILL. I’m gonna say . . . Tim Federle, only because his new musical Tuck Everlasting just opened on Broadway. So I’m hoping he’ll score tickets for me and the other twenty-one authors. • Your contribution to this collection is a new story featuring Marigold and North (previously seen in My True Love Gave to Me). What was it like revisiting these characters? Did you always know that there would be more to their story? Will there be more in the future? I’m not sure if I always knew a continuation of their story was worth telling, but I did know where their future was headed. In the early days, I was working under the assumption that I wouldn’t HAVE another chance write about them, so I was trying not to think about it too much. If that makes sense. But . . . I have a hard time letting go of characters. I always have. So when the summer anthology came to fruition, I knew immediately that I would continue their story. Now, I’m happy with how I’ve left them. In the first story, North helped to heal Marigold. This time, she helped to heal him. They’re good. • How do you come up with the names for your characters? North and Marigold both have purposeful, plot-related names. North’s parents are the proud owners of a Christmas tree farm, so he and his siblings were all cursed with Christmas-themed names—Nicholas, Noelle, and North (as in North Pole). And Marigold Moon Ling was raised alone by her very independent, Chinese-American, hippie mother. So she has a hippie name to match. • How does editing a short story collection compare to writing a full-length novel? Did your process as an author influence your process as an editor? It’s easier. A lot easier. I only had to come up with original content for 1/12th of the 400 pages! My writing process is slow and generally agonizing, so . . . yeah. It’s just not even close. But it’s a huge part of the reason why I love to edit. I’m a slow drafter, and I prefer the tinkering, shimmering stages of editing and revising. It’s where a good story becomes great. My nitpicky brain loves working on that level—finding a better word, a tighter theme, a more developed character, a more textured setting. And I absolutely love helping other authors to find their own deeper, truer stories. I think most authors become a better editor as they become a better writer. I’m the opposite. I started off with stronger editorial skills, and, as they improve, they’re helping me to become a better writer. But, being an author, I will say that when I’m wearing my editorial hat, I heap a LOT of praise onto the other authors. I leave tons of notes for them in the margins and mark every single passage or phrase that I love. Writing is difficult work, and I always appreciate it when my own editors take the time to mark their favorite bits. Praise also shows me how to revise my work! It teaches me which parts are the good parts! And that’s revising in a nutshell: adding more good parts, removing the bad parts. • How did you choose what stories to include in this anthology? I asked eleven other authors to contribute. Whatever story they turned in was the story that I edited, and they revised. I trusted that they would know their own best idea. • Some of the best books have the best covers, so, of all the awesome illustrations on this book cover, which represents you most and why? The characters from my story are the ones using the tire swing, but, having worked on all twelve stories, I feel connected to all twenty-four tiny figures! So I’d have to say the cover as a whole. It’s sunny and cheerful and filled with humor, and that’s how I feel right now. Jim Tierney (illustrator) and Olga Grlic (designer) created a truly delightful tableau. • What is your ideal summer day? Summer night? My ideal summer day and night are the same—sitting inside my house with my husband and my cat. I love my house. If it were possible, I would never leave it. Plus, mosquitos really like me. And I sunburn easily. • What are the ingredients to your perfect summer, and have you had one? Fireflies. Honeysuckle. Fresh fruit and vegetables. I grew up in Arizona’s Sonoran desert, so there wasn’t a lot of this in my childhood. But as an adult, I’ve been living in Asheville, North Carolina, so I have this summer every year. I’m very lucky. It’s one of the many awesome things about being an adult—choosing where you live. • What are your thoughts on summer romances? Naturally juicy! When you’re a teenager, they’re often fleeting and filled with drama. So much can happen over a single summer. You can reinvent yourself. There’s magic in that. • What are your favorite summer love stories? Several of the authors in my two anthologies have written swoony summer romances. A few that immediately spring to mind: I’m pretty sure all of Jennifer E. Smith’s books take place over summer (The Geography of You and Me is a favorite), as well as Nina LaCour’s The Disenchantments and Everything Leads to You, and Jenny Han’s Summer series, starting with The Summer I Turned Pretty. • Which do you prefer--poolside or beachside summer reading? Beachside! Ocean waves are the perfect white noise to a delicious book. • Do you have any go-to summer books you like to re-read summer after summer? I’ll recommend one of my mother’s favorite summer reads: Sarah Dessen’s Keeping the Moon. It might be my favorite Dessen novel, too. • If you had to pair Summer Days and Summer Nights with a summer-y drink, what would it be? Watermelon juice. It’s so simple—it’s just watermelon that’s been put into a blender, but it’s heaven. • In other interviews you’ve described yourself as an introvert. I imagine your desire to live quietly helps ground your writing life. What does your writing space look like? How do you organize a typical writing day? Yes. I’m very introverted, and I’m very comfortable being alone. I’d love to be one of those cool, coffee-shop authors, but I need silence to write. My office is in my house. It has lime green walls and a bold pink desk. (If I remember correctly, the name of the paint was “Sweet Sixteen Pink.”) My desk is covered with trinkets from loved ones, and my shelves overflow with research books and foreign editions of my own novels. There are also a lot of tiny, creepy items—animal skulls and teeth. I have a dark sense of humor. I wear noise-cancelling headphones, and I start work at ten o’clock in the morning. I work for four hours. Five, if it’s going well. After that I stop, because I’m prone to burnout. Then I’ll eat a late lunch, and then I’ll answer email or pop on social media until my husband comes home. But if I’m nearing the end of a deadline, all of these rules are thrown out, and I work around the clock until it’s done. And then I crash for about two weeks. • What books from your younger years as a reader contribute to your stories now as a writer? Francesca Lia Block’s Weetzie Bat was hugely influential on Lola and the Boy Next Door, which was the first novel that I worked on. Lola wouldn’t exist without Weetzie. My first published book, Anna and the French Kiss, was largely influenced by the voices of Meg Cabot, John Green, and Maureen Johnson. And everything I write has been influenced by my love of fairy tales and happily-ever-afters. • What can we expect to see from you next? Are there any plans of releasing a new full-length novel soon? My next novel is a teen slasher, which hopefully (if I finish it on time!) will be published next year. I’m having such a blast writing in the horror genre. And it’s honestly not as big of a departure as it seems. There’s still an attractive boy, an intriguing setting, and quippy friends. It just also contains a lot of murder. • If readers could take away one thing from having read Summer Days And Summer Nights what would you hope it would be? 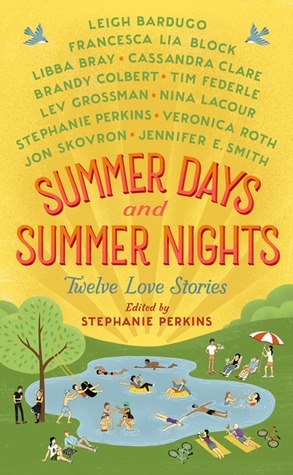 Summer Days And Summer Nights from St. Martin's Press is their second foray into the world of the seasonal anthology, with Stephanie Perkins, once again leading the charge as editor. While the first book, And My True Love Gave To Me, was all about love, Christmas and all the delights that winter holidays have to offer. Summer Days And Summer Nights takes a decidedly warmer look at love. With stories ranging from fanciful to contemporary these tales of love lost, found, and rediscovered will appeal to readers of all ages, genders, and nationalities. This is a very enjoyable read that is made to be a lifetime favorite. Hi, there! 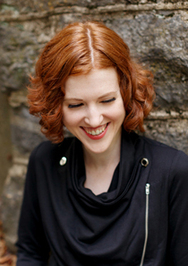 I'm Steph, and I wrote ANNA AND THE FRENCH KISS, LOLA AND THE BOY NEXT DOOR, and ISLA AND THE HAPPILY EVER AFTER. I also edited (and contributed a short story to) a romantic holiday anthology called MY TRUE LOVE GAVE TO ME. A companion anthology, SUMMER DAYS AND SUMMER NIGHTS, will be released in May 2016. My next YA novel will be horror—a teen slasher published by Dutton.